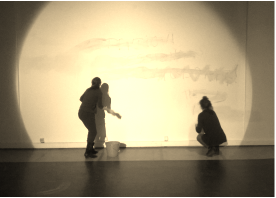 Working as an independent artist, my work consists of independent artistic projects and dramaturgical and choreographic assistance. Teaching choreography independently through the Puzzle programme at Station Service for contemporary dance . Working as an actor of independent dance scene in Belgrade trough Station Service for contemporary dance.